Sorry for the delay. I have been busy getting things organized for two parties coming up. So, anyways. . . 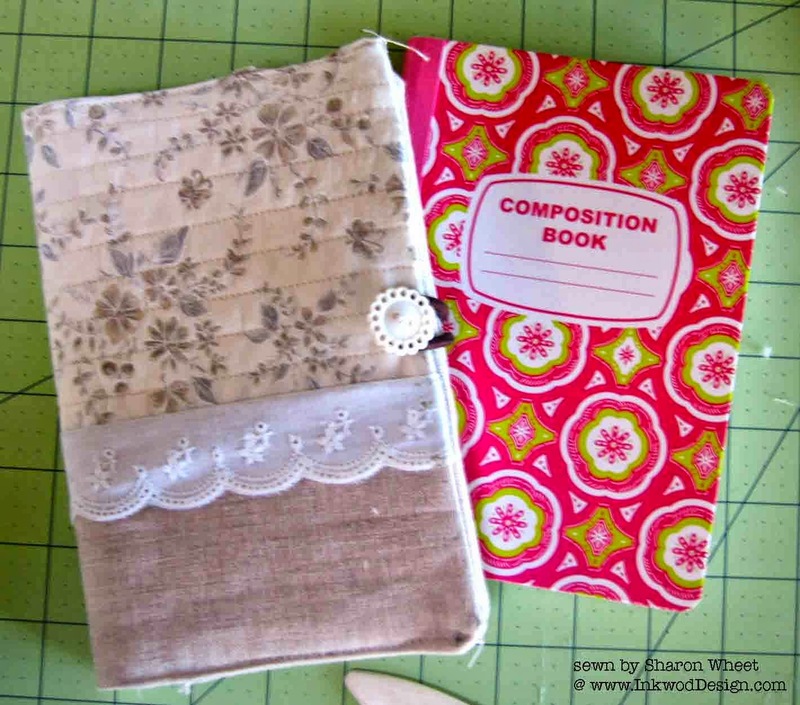 I saw these fabric covered composition books on . . . well, Pinterest, of course! And I just had to try my hand at sewing one. Now, I am not a sewer. I sew on cards, because its super easy and there is no measuring or straight lines required. Here is my finished book cover. I used this tutorial, and really enjoyed the whole process. Thanks for looking. I'll share more soon.